These are ASUS Zenbook 15 UX533FD-DH74 drivers for Windows 10 64 bit you can download and install to let your notebook operate correctly. 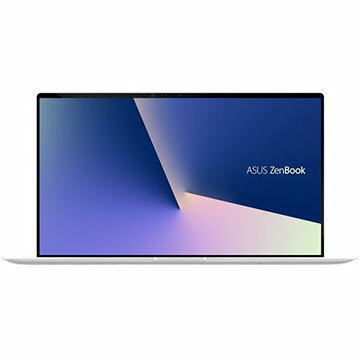 ASUS Zenbook 15 UX533FD-DH74 is 15.6 inch laptop powered by 8th generation Intel Core i7-8565U Quad Core Processor with discrete NVIDIA GeForce GTX 1050 Max-Q graphics video card with dedicated 2GB / 4GB GDDR5 VRAM. This ASUS UX533FD-DH74 comes with onboard 16GB 2400MHz DDR4 memory and fast 512GB PCIe 3.0 x2 SSD solid state drive to store your documents. This portable computer features dual-band 802.11ac gigabit-class Wi-Fi, Bluetooth 5.0, USB 3.1 Gen 2 Type-C port, USB 3.1 Type-A, HDMI port, SD card reader, 3D IR HD web camera, and 73Wh 4-cell lithium-polymer battery with up to 16 hours battery life.